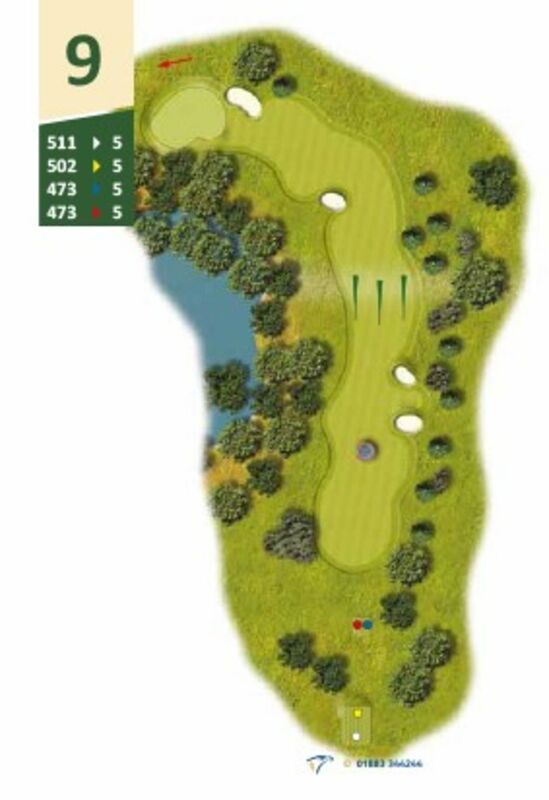 A "real" Par 5. A good drive will get you to the bottom of the hill but not necessarily a view of the green. It will take a good lay up second shot to give you a short pitch 3rd to a small green.